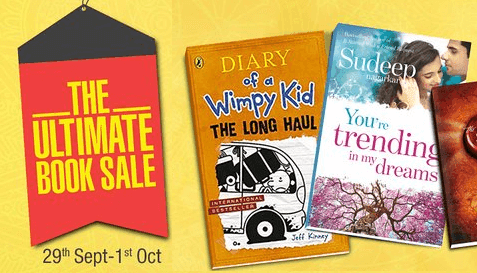 Amazon is back with a new sale – This sale is one of the best Sale for Books where a user can get upto 70% off on Best selling Books (Get Huge discounts not Cashbacks) So no need to worry and wait for any cashback like we have to do in Paytm Sales. There are hourly deals on Books also. Cheap prices and Shipping is also cheap (Rs.40). Below we have added some Suggestions – have a look! Browse through the Offers and Books listed. Select your desired Book and Click on “Add to Cart”. Choose your Shipping and Billing addresses. Pay online through CC / Dc or Net banking or via Gift Cards or Cash on delivery your order.